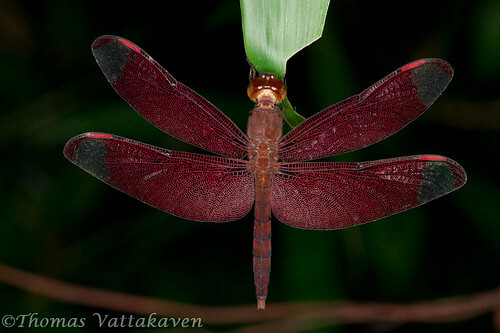 The Fulvous forest skimmer (Neurothemis intermedia) is a medium, sized rusty dragonfly with transparent wing tips. 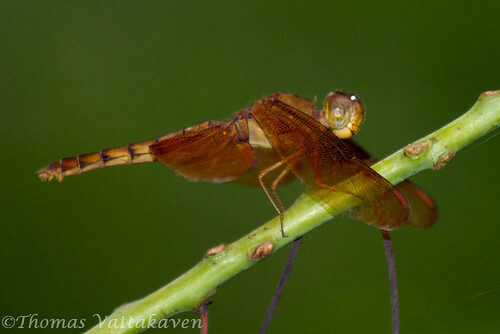 Its face and upper eye is reddish brown, while the lower part of the eye is a golden brown. 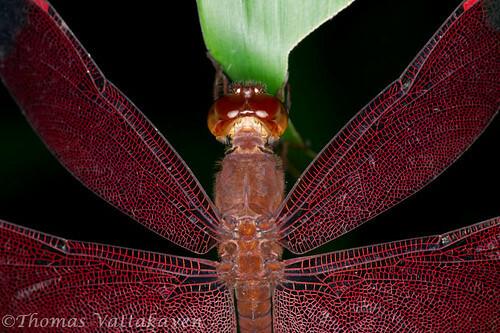 The dragonfly has deep reddish wings with red venation.If you are wondering how I got such a brilliant effect from the wings, I`ll let you in on the secret. 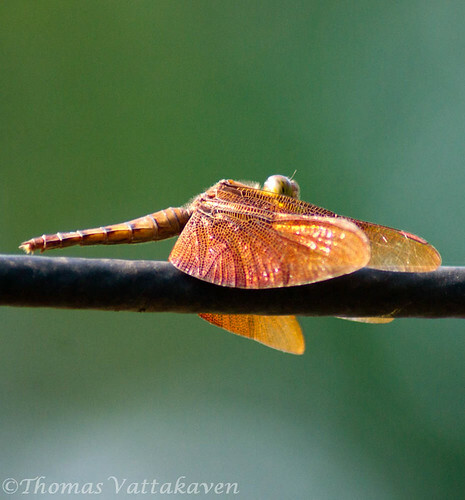 This image was taken after sunset, when the dragonfly alighted for roosting. At this time, it settles down and doesn't move easily. This allowed me to get close and use my flash to best effect. Unfortunately it was rather high up and I couldn't get a face macro. 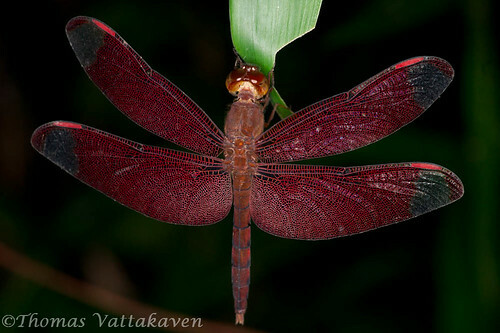 The female is a duller rusty brown in colour and may exist in different forms. The shots of the female were taken later the next day in good sunlight. 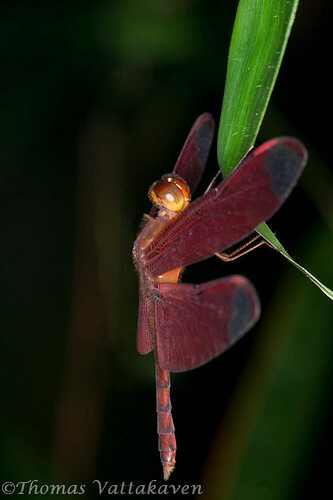 These dragonflies are seen in wet forests and can mostly be seen perched on fallen logs or shrubs. 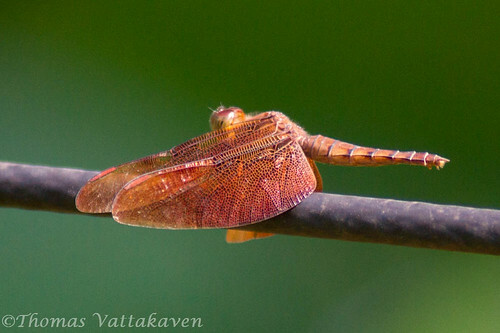 However, during the wet season, they move out of forested areas to non-forested bits. They breed in marshes close to forests.